We are back and things are hip-hop-happening! 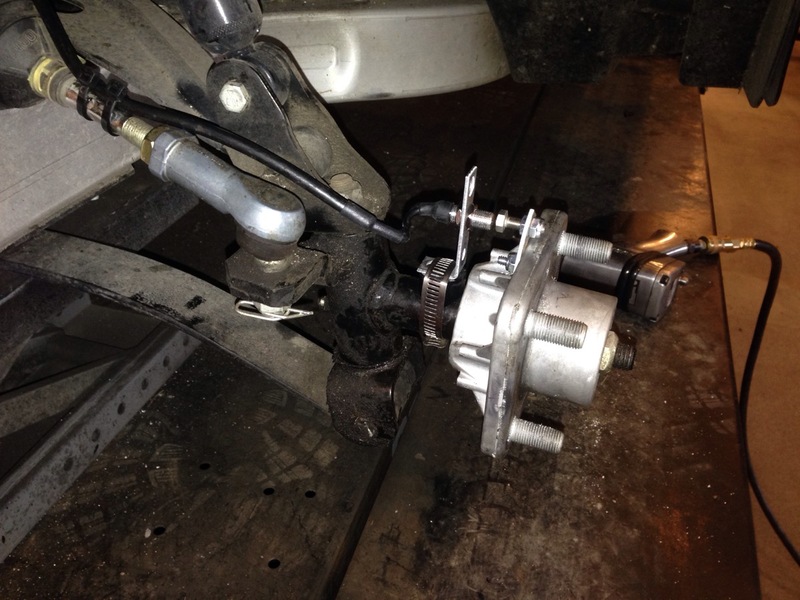 This week we worked on some more “behind” the scenes things to get this cart ready. Some of the go fast mods were done and also we touched on some cosmetics. Check it out you will love it! 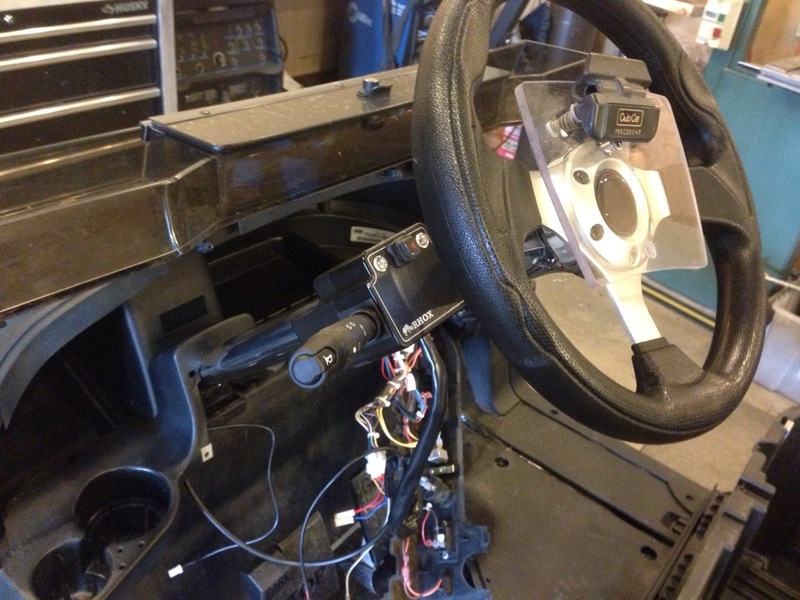 We started off by getting the custom steering column and steering wheel adapter installed. This will tie the wheels into the cart! 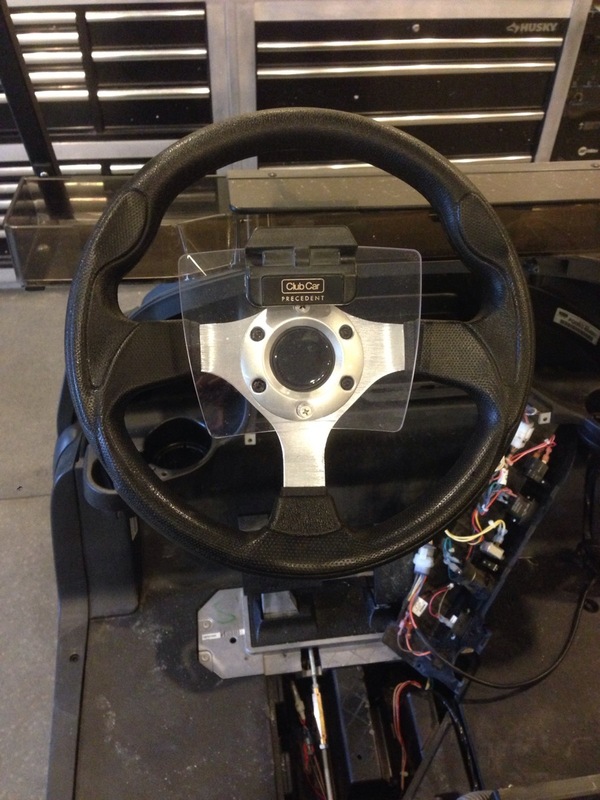 The custom steering wheel with our custom SC Carts clear score card holder that we machine in house on our CNC router. This lets you see the steering wheel when your not using it for a score card. 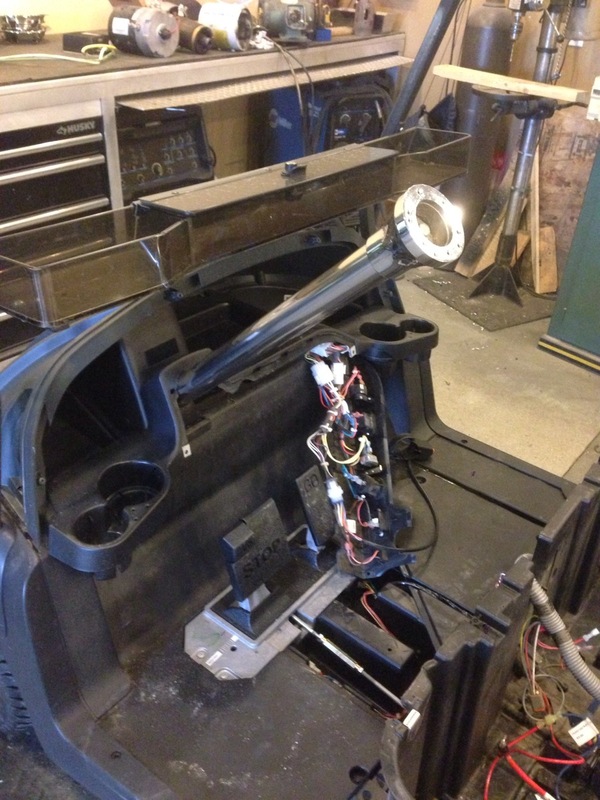 This cart is getting our information gauge package, here we are installing the speedometer pick up. 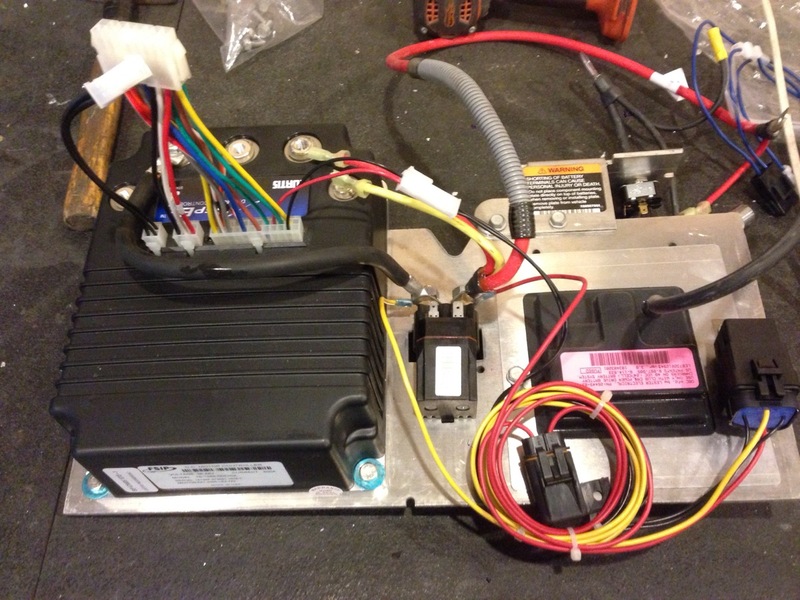 Because this cart is going to be a high performance machine, the information gauge will give all sorts of vitals such as battery voltage, motor temp and speed along with a lot of our useful info. 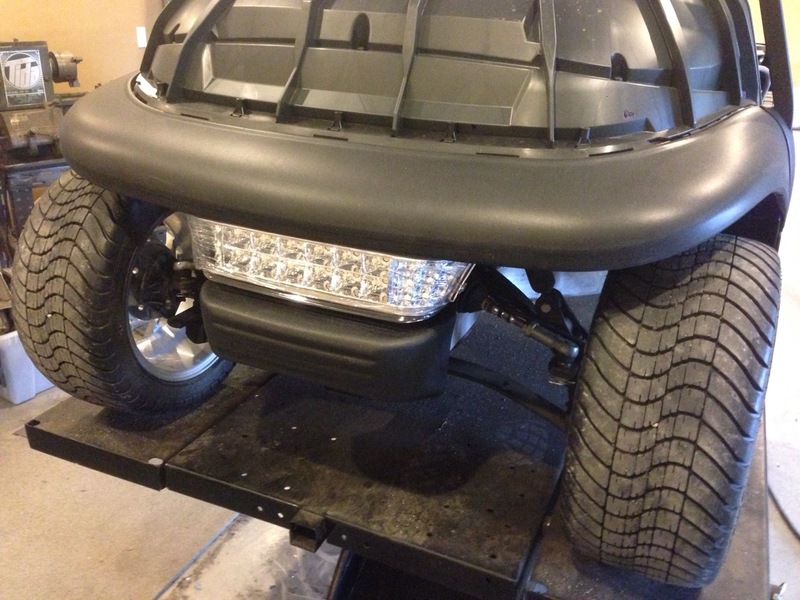 The LED headlight installed, these are absolutely awesome for lighting up the night! 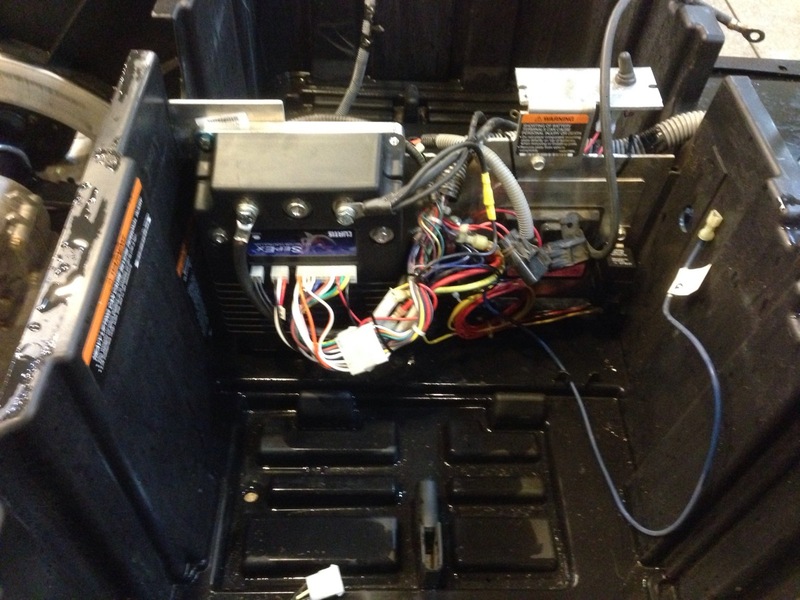 Next we installed the turn signal control, the cool thing about the system we use is that it is automotive style, you control the horn, the lights and the signals all from the one control. This gives a very clean installation. 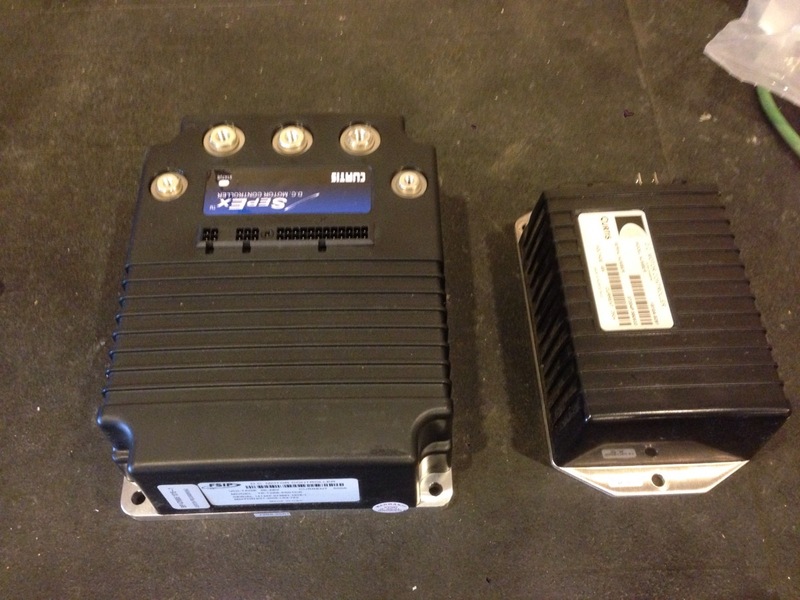 This controller always makes us smile, it is amazing how much larger our performance controller is over factory. The large controller still fits in the factory location, here we are just finishing the install, and what a clean install it is! How classy is this upholstery! 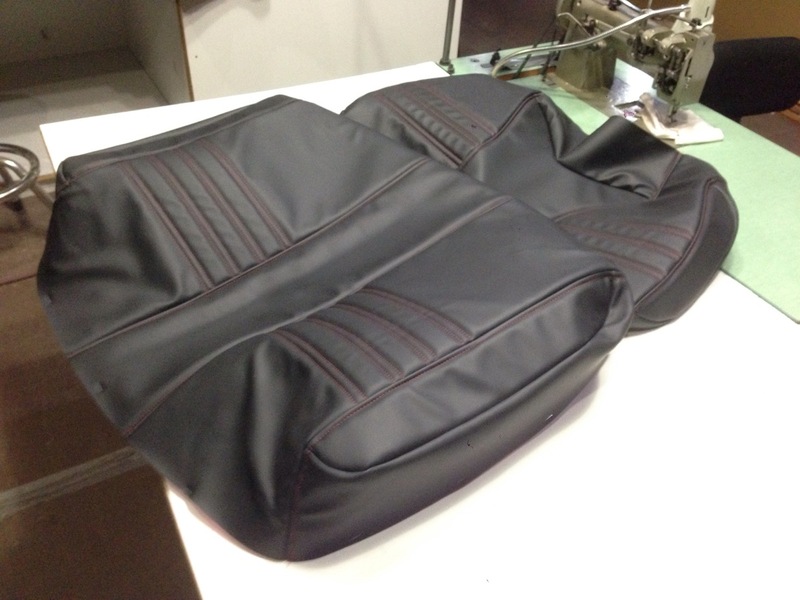 The red top stitch is amazing, our upholstery department has done it again! 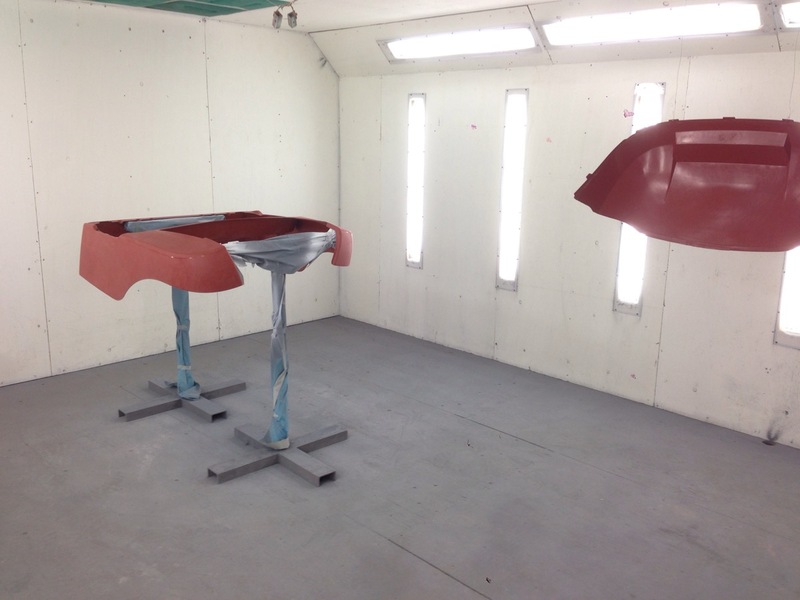 The body is all prepped and ready for paint! You are going to want to see this color! Come back next week when we get into the good stuff on this build! It is going to be one head turning cart! In the meantime head to our Facebook page to see what we have shaking! Check out part 1 of this build! ← Predator Ridge Resort White Custom!